Blogs have come a long way from the time when it was just a medium of posting our thoughts and opinion online to becoming one of the biggest money earning source online for thousands of people. Yes, Blogs are a great way of making money online and a number of professional bloggers and Internet Marketers earn millions of dollars with the help of blogs. One of the main source of income through blogging is the placement of Banner advertisements in the blog. Banner Advertisement too has evolved a lot throughout the years and unlike before when bloggers had a hard time searching for advertisers and managing the advertisements, there are now a number of tools and sites that can help them manage and find advertisers easily. 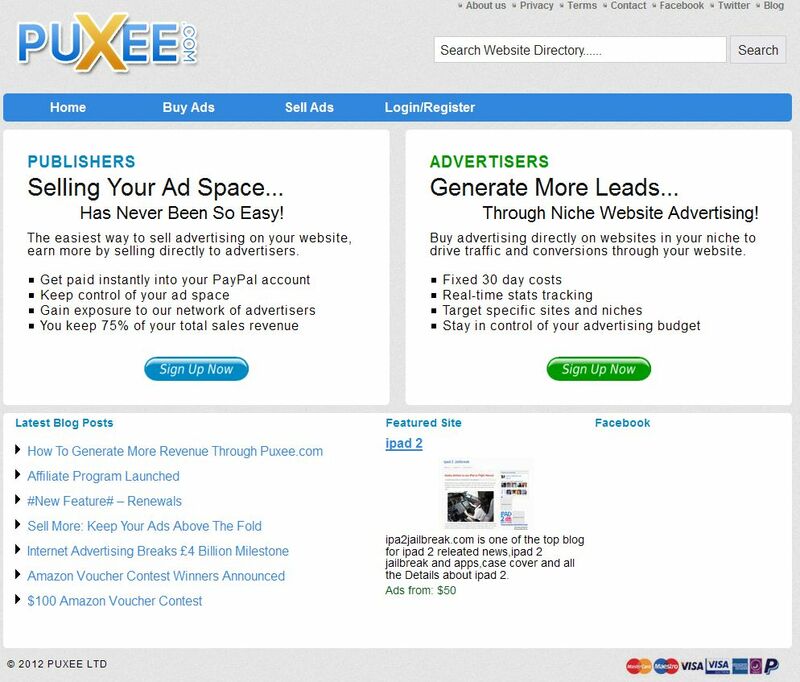 Amongst all these tools and websites, one of the most popular Banner Advertising website is BuySellAds. I am sure almost each and very Blogger has heard of it. For those who do not know about it, I will just provide you a brief intro to it. BuySellAds is the most popular online banner buying and selling marketplace. BuySellAds has a lot of Advertisers and provides a good chance for bloggers for earning good amount of money by placing adverts in their blogs. BuySellAds Offers a lot of different features and toolsets to the publishers (bloggers) like excellent management dashboard, ability to approve or disapprove advertisers, targeted niche advertisers and a lot more. They also have an excellent customer support who can be contacted through any social media sites. Also Buy Sell Ads (BSA) ad codes do not at all affect the page speed of the site. 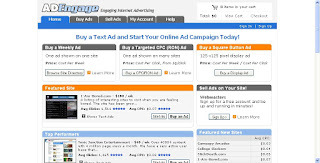 They offer banner ads of custom sizes and take 25% of your ad sales earning in exchange of the features they offer. The advertisers can compare and evaluate sites on which they want to put advertisements on by considering and comparing different metrics like Alexa Rank, Compete traffic, PageRank, Delicious bookmarks, and Yahoo! Inbound Links. 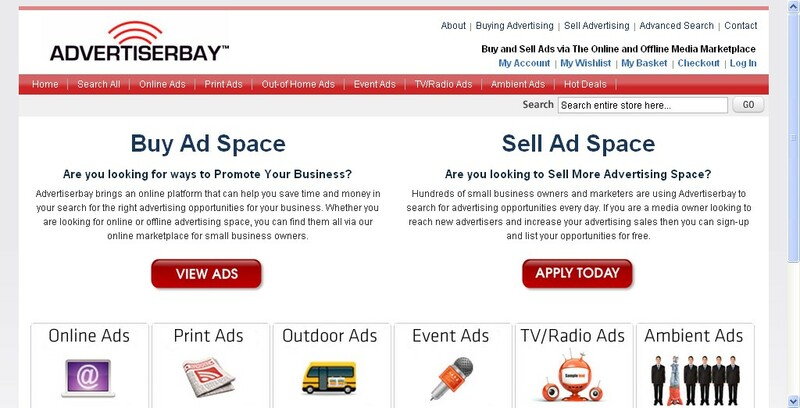 All in all, BuySellAds offers a comprehensive solution to all your advertisement buying and selling needs. But Getting approved in BuySellAds is not so easy. Tried again and again to get your blog approved in BuySellAds.com But didn’t get that approved! Now what ? you can try these Top 5 BuySellAds.com(BSA) Alternatives. 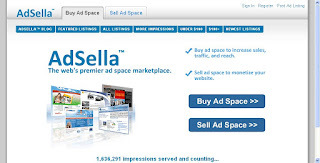 This is the second best option if you do not get approved by BuySellAds, it has a good amount of advertisers and a good amount of bloggers in its directory. Most of the features are quite similar to BuySellAds. You sign up with them, get yourself approved, set up your ad zones and add their script to your site. They keep around 30% of the revenue and provide a minimum of 70% (Up to 80%!) to the publishers. One notable feature that it offers is their built in affiliate system. So even if you aren’t able to sell any ads on your site, if anyone that clicks through your ‘advertise here’ banner and signs up, you will get a referral payment of 5% – 10%, and it is monthly recurring. 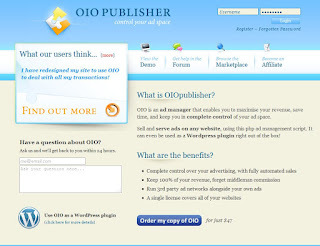 OIOPublisher is another great BuySellAds Alternative for you if you have not been approved for BuySellAds. OIOPublisher follows a different bit of mechanism. They have a plugin which can be installed as a WordPress plugin or used as a standalone platform which will allow you to get complete control over the advertisement sales in your website. 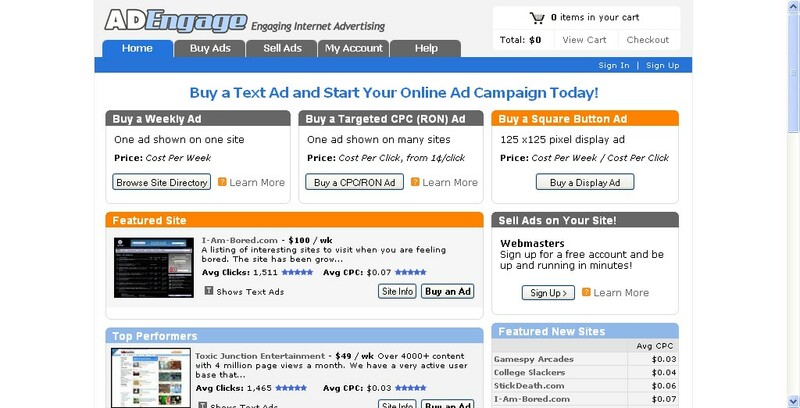 The plugin offers a lot of features like custom types of ads, automatic advert handling, impressions and click tracking etc. The cost of the plugin is only 47USD. 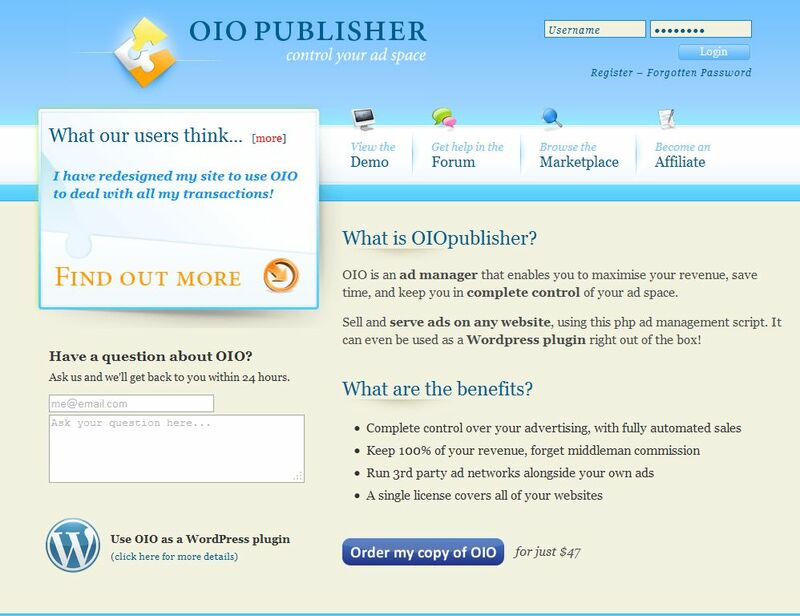 After you buy the plugin, you will be added to their exclusive Marketplace from where you can get more advertisers. 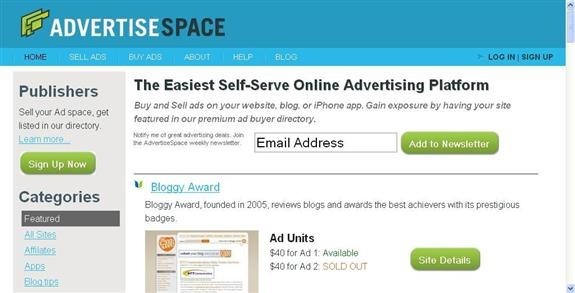 You get to keep all the 100% of revenue that you have earned through the Ad Sales so I think it is a pretty good investment considering that in other Advertising Marketplaces like BuySellAds and AdvertiseSpace, they deduct 25% to 30% charges for each sale. 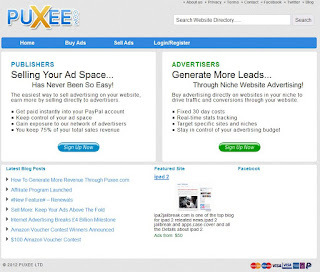 Using this plugin you will be able to cut the commission charges and keep all the sales earning for yourself only at the one time expense of 47$. They have been around from a long time back, probably been there even before BuySellAds was created. Just like BuySellAds, they allow you to sort out and compare different blogs according to traffic and prices. They represent a number of premiere blogs like PerezHilton, DailyKos, ICanHasCheezburger, Dlisted, Regretsy, Lamebook and Wonkette. You have the options to choose from 3 types of account: Basic, Intermediate and Advanced according to the amount of traffic you get. 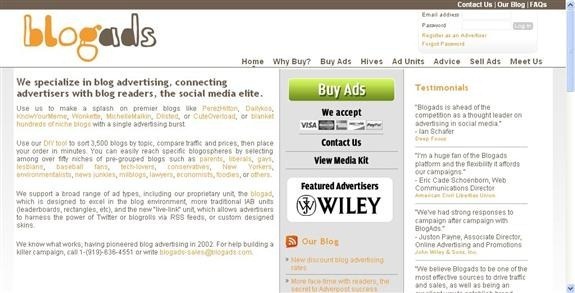 BlogAds keeps 30% of any generated advertising revenue. Another worthy enough Banner Marketplace is PerformancingAds. 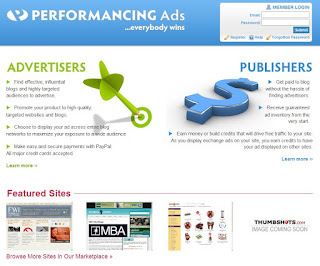 It has been created by the owners of Performancing a Technorati Top 100 Blog. Performancing Ads permits you to sell 125 x 125 banners as well as participate with other bloggers to exchange ads using the credit system. Performancing takes a 40% share of any ads that are sold and passes the remainder 60% to the publisher. AdEngage offer Weekly Ads that are purchased on a Cost per Time basis (The BuySellAds model) and Targeted Cost per Click ads that run through a targeted portion of their network (The Adsense Model). AdEngage offer 75% revenue to the Publishers and keep 25% themselves. They also offer good support, and a myriad of data organized into helpful charts and graphs for website owners to track. 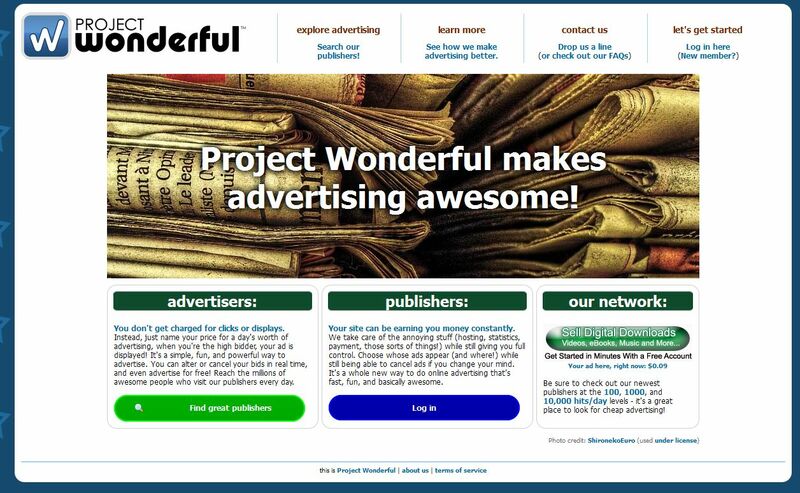 This ad network is a part of the Technorati Media Group so is certainly reliable and does have a good amount of advertisers and publisher too. 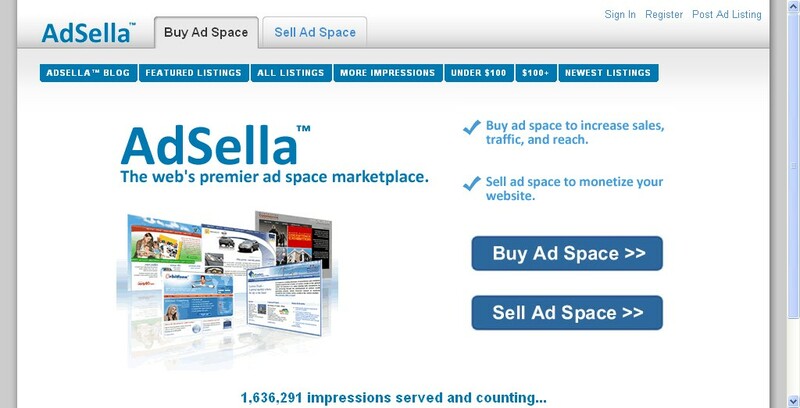 Adsella is a recent entrant to the Banner ads Marketplace section. In a small amount of time they have been able to gather a lot of publishers and advertisers in their site serving upto 1,600,000+ impressions till now. Though there is still a dearth of big list blogs in their showcase. AdSella charge a commission of 20% off the total rate and I think it is one of the lowest when compared to its competitors. 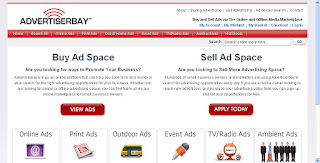 AdvertiserBay.co.uk is somewhat different from all these Banner ad marketplaces in the sense that it allows you to buy and sell other types of advertising too. Besides Banner Advertising they offer Text Advertsing, Email Advertising, Classifieds advertising, Prints Ads, Events Ads, TV/Radio Ads etc too. 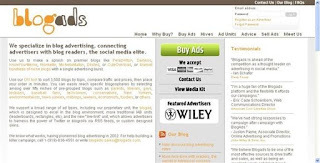 That is they offer buying and selling Ads on both online and offline media. They vouch to be the all in one stop for all your advertising needs. They keep a modest 25% as sales commission for all ads sold in their marketplace. It is a new advertising platform which is being considered as one of the best BuySellAds alternative. The commission is also here 25% like BuySellAds. They accept the subdomain blogs (like blogspot.com) and the commission rate is 25% like BuySellAds. But in addition to 10 the list above, I think AdHitz and TextLinkAds you can try as an alternative Banner Ad Marketplaces.